Kerala PSC Sub Inspector of Police exam 2014 will be conducted in August. The notification regarding the Kerala PSC Sub Inspector of Police General Executive Branch exam 2014 will be published in the official website by the third week of June. The last notification regarding the posts of Sub Inspector Executive General was published on 28th September 2007. Read more to know about the exam and preparation tips. Kerala Public Service Commission is currently undergoing final preparation of the Sub Inspector of Police exam 2014. According to available information, the Sub Inspector of Police General Executive Branch exam will be conducted in August while the final rank list is expected to get published by June 2015. Kerala PSC would be publishing the details about the exam through a notification in the website by the third week of June. The last notification regarding the posts of Sub Inspector Executive General was published on 28th September 2007. As known, the notification will carry details about the exam while the last date of submitting application is limited to 15th July. An objective type exam would be conducted on 2nd August 2014. 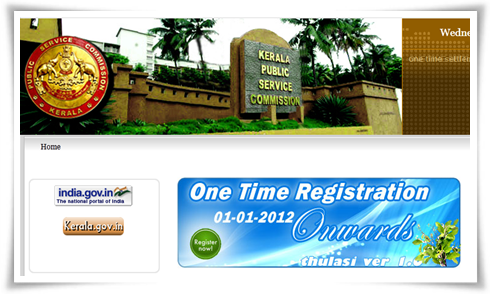 The Kerala Public Service Commission plans to publish the rank list by June next year. Unlike the previous test, there will not be a main exam. After the preliminary test, the short list of selected candidates will be published in November 2014. During December – January – February months, the physical tests for selected candidates will be conducted. Those who pass the physical exams will be asked to attend the interview. After the crucial valuation, the final rank list will be prepared and published in the website. As entering the police force is the dream of many youngsters, it is very important to have a methodical preparation much before the examination. As both physical and mental are being tested, candidates should start self training as soon as possible. Applicants should have attained a degree from any recognized university to apply for the Sub Inspector of Police recruitment. It should be noted that, those who have graduation or post graduation in Social work or Social service will be given weightage during the various stages of selection. An OMR based objective type test which covers areas like General Knowledge, General Affairs, General Science, Constitution and General English are prescribed as the syllabus. Questions from regional language can also be expected for the exam. With maximum marks of 100, the exam duration is stipulated to 2 hours. As the recruitment notification of Sub Inspector of Police General Executive Branch will be published by the third week of June, applicants must keep a close eye on the Kerala PSC website to know about the announcement status.